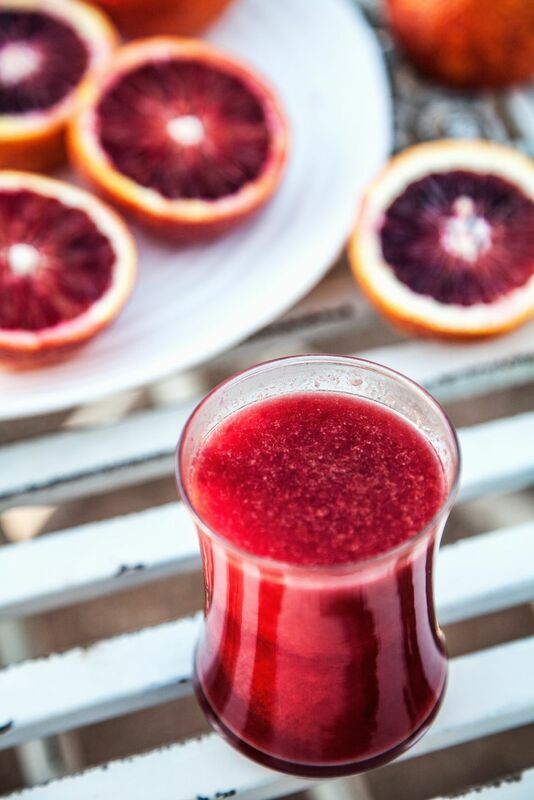 Boldly-hued, with a delightful sweet-tart flavor, blood orange juice turns the standard smoothie sophisticated. This blood orange strawberry smoothie would be a perfect addition to a Valentine's or Mother's Day brunch menu. Use frozen, unsweetened berries for a frostier smoothie. Or, if you want to up the indulgence factor, try using frozen yogurt in place of regular yogurt. Place all ingredients except the ice cubes into a blender and purée until smooth. Add the ice cubes and pulse just until they're crushed. Garnish if desired and serve immediately. Enjoy!